Weston successfully conducted an innovative geophysical investigation for munitions and explosives of concern (MEC) at archaeologically sensitive historical bombing range in Hawaii. In Hawaii, many properties exist that were historically used as bombing ranges by the DoD and that now face an uncertain future. Marine Corps Training Area Bellows, located on the east side of the island of Oahu, contains an area utilized as a practice bombing range beginning in the 1930s. Today this archaeologically sensitive beachside area is now undeveloped land used for general training and maneuvering. As a result of the potential presence of munitions and explosives of concern (MEC) at the site, DoD called upon Weston to provide the services necessary to determine the nature and extent of the hazard posed by MEC. In light of the site’s archaeological significance and the potential presence of traditional Hawaiian cultural deposits, conventional MEC removal methods were not utilized. 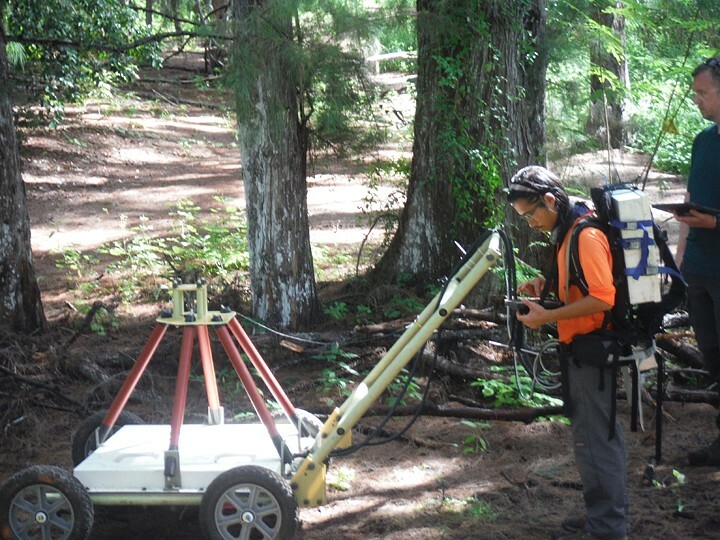 To minimize disturbance to the archaeological site, the Weston team used their expertise in geophysics to employ Advanced Geophysical Classification (AGC) methodology. The technology classifies buried metallic objects as either munitions-related targets of interest or non-hazardous scrap metal by comparing acquired geophysical data to an existing reference library, and its use significantly minimized the amount of subsurface excavation required to characterize the MEC hazards here. Under supervision of an archaeological monitor, Weston successfully carried out the investigation of the historical bombing ranges using AGC. The investigation resulted in the discovery of no MEC at the site, finding only munitions debris and non-munitions-related debris. Additionally, no cultural deposits were identified by the archaeological monitor during the course of intrusive excavations. Weston simultaneously characterized the nature and extent of the MEC hazard present in this important area and minimized the impact to the archaeology of the site. The creative and innovative solution that Weston employed to address this unique challenge was very successful and also potentially saved time, energy, and money on behalf of our client.